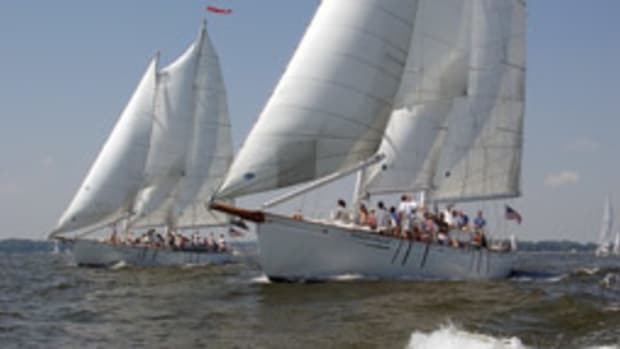 Peter Holtzhausen was barely walking and Emil could have been using a Batman lunch box when the two boys moved aboard the 43-foot custom fiberglass sloop in a marina in Portland, Maine. 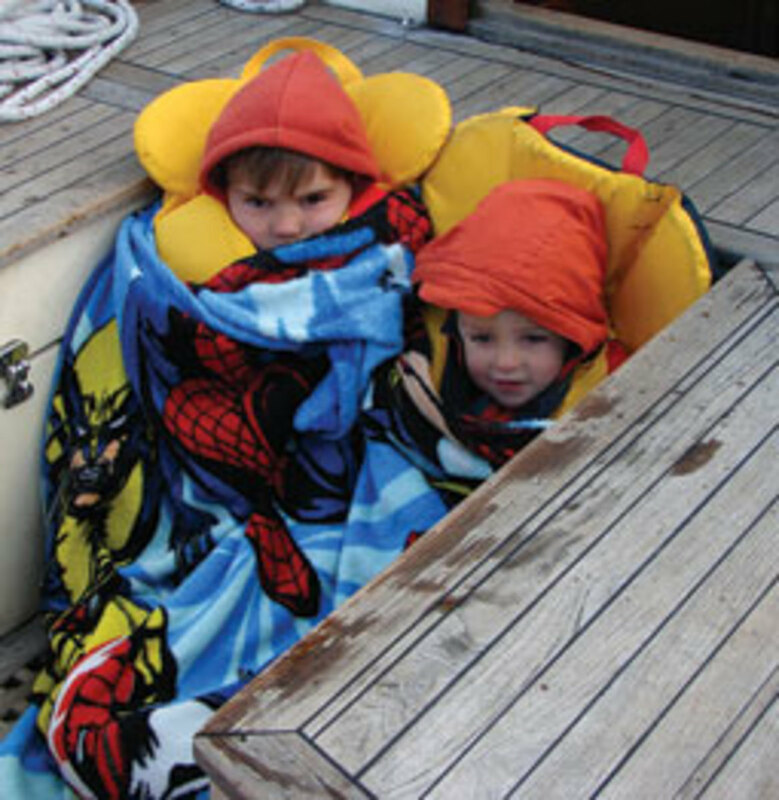 But 18-month-old Peter was tethered to the boat&apos;s hardware, and Emil, 4, was busy climbing the mast. It was July 2006, during the most recent season that the Holtzhausens spent in New England. Since then, Ronel Holtzhausen, her husband, Neil, 45, and their boys have sailed 30,000 miles, stopping in more than 30 countries during an odyssey that will span five years before it is scheduled to end sometime this year. They have navigated pirate-infested waters off Africa and hidden behind window shades in Yemeni buses to avoid locals wielding AK-47s. Meanwhile, they&apos;ve managed to teach, learn, cook and conduct a family life despite the exhausting task of keeping their sailboat upright and on course in the middle of the Pacific. "I realize that in &apos;real life&apos; most people only dream and plan adventures like this," Ronel, 46, said last April during a brief visit to New Hampshire. She was back during an unexpected, but necessary, break in a journey that for one six-month period left the family divided between the United States and Turkey. The family adventure was born when Neil was a young man. Ironically, neither he nor Ronel sailed while growing up in South Africa during apartheid. 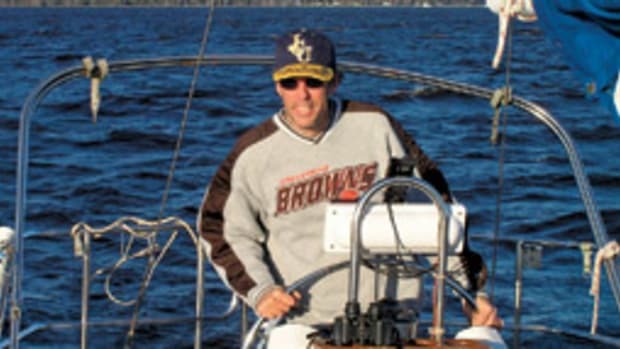 As a law student, though, he was approached by a friend who wanted his help sailing across the Atlantic. It took Neil about three seconds to sign on, changing his course forever. Ronel entered the picture 20 years ago when the two met while backpacking in Malawi. She had never sailed, but had a passion for travel. The two came to the United States for a short adventure that morphed into marriage, children, a house and U.S. citizenship. She was an occupational therapist. He was a building contractor. 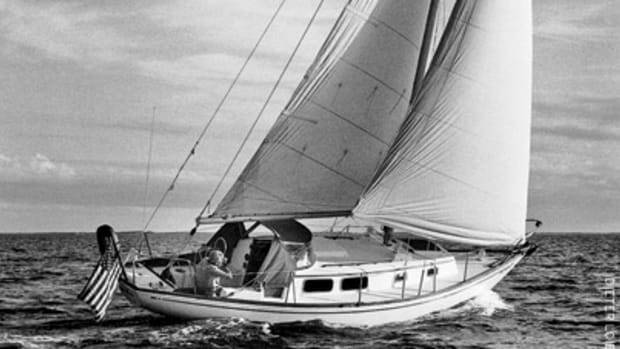 In 2006, they sold their house in Dover, N.H., and their 33-foot Tartan 10, on which Ronel had learned to sail. 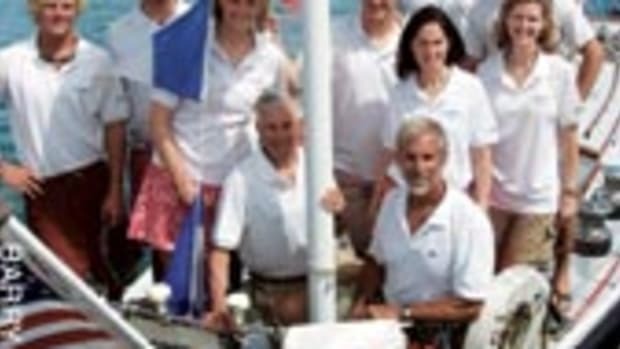 They invested the money in a Canadian C&C Yachts boat built in 1981 and kept enough money aside to sail around the world on $30 a day. 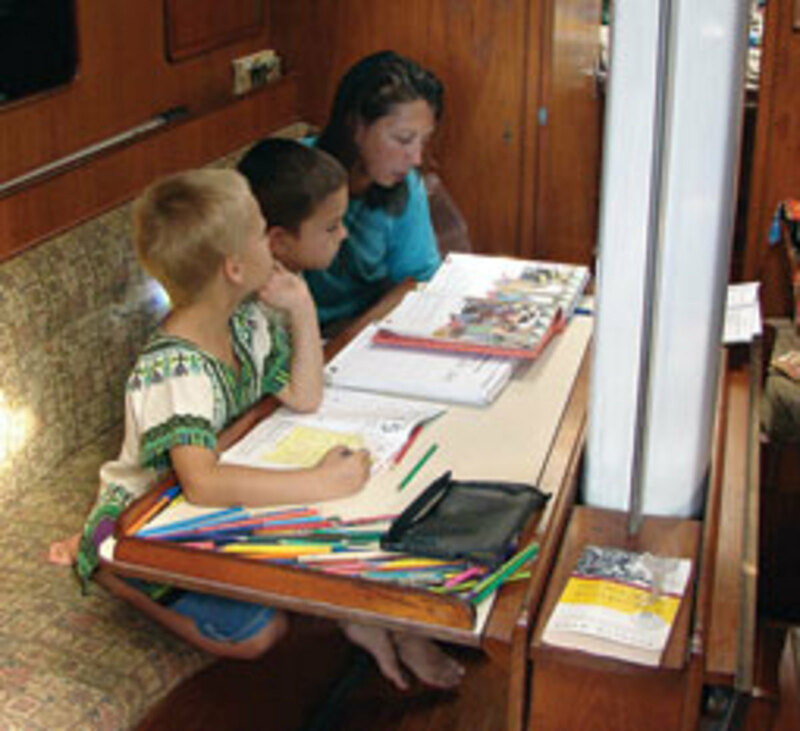 Life in the 250-square-foot cabin of their boat Tiger began at the Portland Yacht Services marina in June 2006. Neil and Ronel spent the summer making test runs, reading sailing books, buying supplies and caring for the children. They did a final shakedown cruise to Yarmouth, Maine, before they set sail in October. They began with 600 pounds of pasta, rice, cornmeal, beans, meat, veggies, red wine and whiskey. They also brought an extensive tool collection, two GPS devices, an EPIRB, extra oil and plenty of instructional cruising magazines. Rain and wind the entire way to Bermuda quickly tested their prowess and two months of island-hopping in the Caribbean prepared them for the ocean crossing ahead. 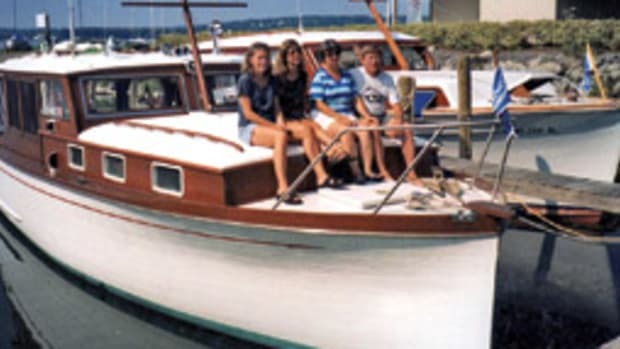 They learned that their boat sails well in light winds, which was fortunate because their auxiliary power is an old "unreliable" (Neil&apos;s term) Westerbeke 58-hp diesel engine. "She performs best on a beam reach, but sails well with wind on the nose in calm seas," Neil says. "Being a modest displacement boat, she gets overpowered early and we start reducing sail before the heavier sailboats." On the other hand, they found that Tiger only needs five knots of wind to get moving. During nine months of sailing from the Pacific coast of Costa Rica to the north coast of Australia, Tiger used fewer than 100 gallons of diesel fuel. Ronel and Neil also found that their Monitor wind vane was better than an electric autopilot for self-steering because it requires no electrical power and works very well, as Neil says, "once you get the hang of it." After cruising the coast of Colombia and Central America - one of their favorite stops was the San Blas Islands of Panama - they went through the Panama Canal in September 2007, nearly a year after they set sail. By then, Ronel and Neil knew they were missing a few essentials. They ordered a $900 2-kilowatt generator so they could charge the batteries, even if the engine died. And they invested in a copy of "Chapman Piloting & Seamanship" to avoid mistakes of ignorance. They learned their lesson when a fire started after they repaired a broken alternator, not realizing that it needed a porcelain insulator. 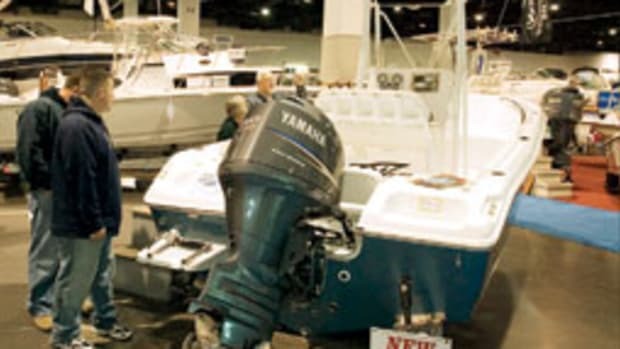 "We started off as nervous sailors and now we are decent sailors, but we&apos;ve also become diesel mechanics, outboard mechanics, carpenters, schoolteachers and oh, yeah, smugglers," Neil wrote in an e-mail newsletter. Smuggling, it turns out, was what it took to do business while they were docked in Costa Rica. Authorities there do not recognize the international ships-in-transit law, which saves cruisers from drowning in customs fees. 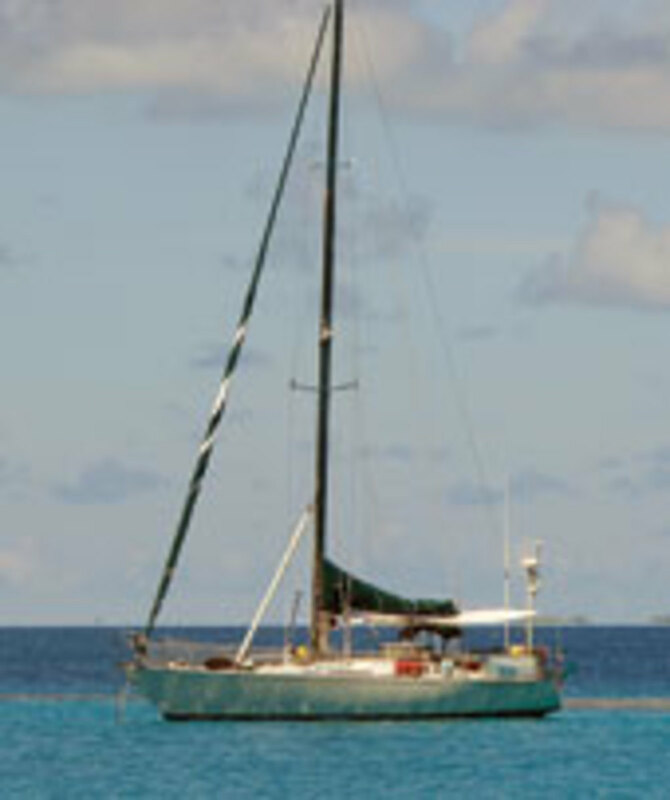 So Neil and Ronel took the advice of other sailors and had the generator and some new sails sent to Panama. They hailed a cab in Costa Rica to the border and crossed on foot to pick up their goods. The 5-foot-6-inch Ronel turned out to be the boat&apos;s main mechanic as the couple fixed leaks, replaced engine parts and mended sails. At 130 pounds, she fits better in the engine compartment and has more patience, she says. But for Ronel, the hardest part of the trip has been sleep deprivation. With only two adults on board, one of them always must be on watch. "Some couples just go to sleep, but I think that&apos;s very irresponsible," she says. Over the miles and months, the family time in close quarters has been both a godsend and a challenge. 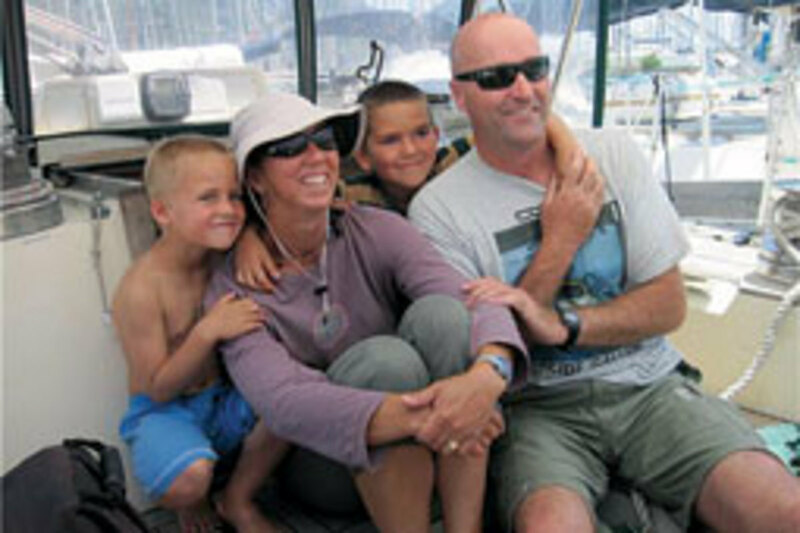 On the stretch between Australia and Singapore the family spent 40 straight days alone together without touching land. Sometimes there was no wind; at other times, the wind was coming from the direction that Tiger was headed. Getting little sleep and not eating enough, they lost weight and were exhausted by the time they got to Singapore on New Year&apos;s Eve in 2008. Still, Ronel waxes romantic about this period. "We got into a really good rhythm with our bodies and ourselves, and we tried to read and reflect," she says. "We realized what an amazing opportunity this was. Who has the luxury of spending 40 days with their family in one room? No one has that much time ever." It is Ronel&apos;s goal to hold three hours of "school" each morning. She uses a home-school curriculum from the Calvert School of Maryland for math and reading, but knows that Peter and Emil are getting their best lessons from the field-trip-to-beat-all-field-trips. 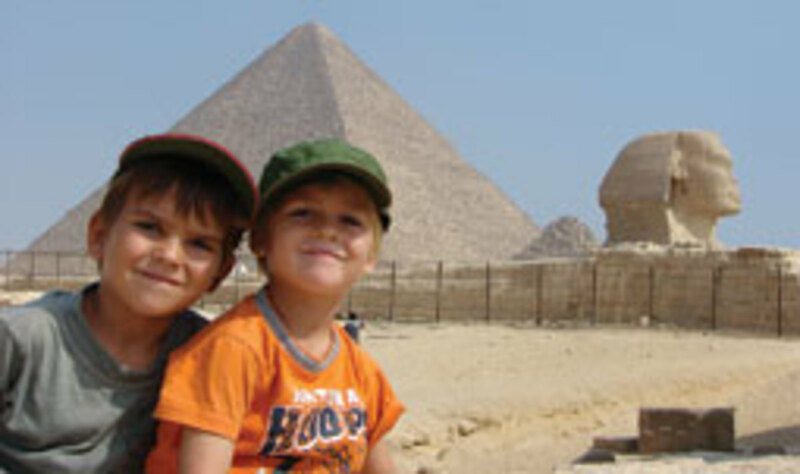 The boys saw komodo dragons in Indonesia, tortoises in the Galapagos and camels in the Sudan. They climbed active volcanoes in Vanuatu and Guatemala and snorkeled among the tropical fish of Fiji. 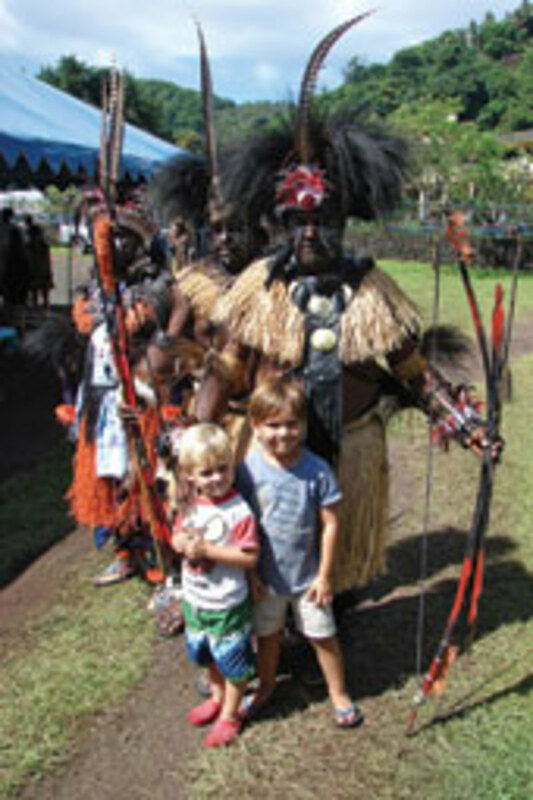 When they got stranded while waiting for engine parts in American Somoa in May 2008, they passed the time at the 10th Pacific Arts and Cultural Festival, where every four years art, dance and music from dozens of nations are on display for two weeks. Aware of a history of atrocities in Southeast Asia, Ronel and Neil thought carefully before exposing their sons to the worst of human nature. During their visit in January 2009 they decided that the boys could learn more from the Killing Fields of Cambodia and the War Remnants Museum of Vietnam than from endless history books. "We explained that this is really sad, but it does happen," Ronel says. "I think there is a value in experiencing reality. I explained that &apos;they&apos; think we&apos;re the bad guys. It&apos;s a difficult concept for the kids, but I think it&apos;s important." Neil and Ronel do not readily fret about safety, but they did finesse a few dicey scenarios. They considered avoiding the Suez Canal in June 2009 when pirates were causing trouble in the Gulf of Aden, but ultimately chose to travel at night without lights or radio. 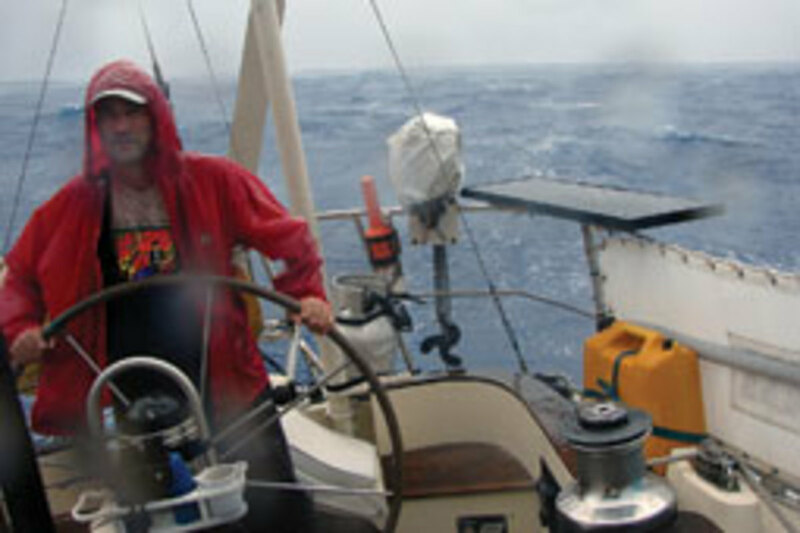 "Sailing the Gulf of Aden was a stressful and unpleasant experience and we don&apos;t need to go back until the pirates are sorted out," Neil admitted in an e-mail. One morning in April 2009 after the family went on shore in Al Mukulla, Yemen, they found a large Tanzanian fisherman sitting in the cockpit of the boat. "He demanded money," Neil says, "so I gave him a Pepsi and Ronel told him to bugger off, which, to our surprise, he did." But the risks have paid off in spades. In the Gulf of Aden, they saw schools of dolphins every day and two pods of whales. And in Yemen, the family got permission from tourism police to go to the 2,500-year-old city of Sana&apos;a. Pickup trucks with machine guns and a sense that Americans weren&apos;t the best-loved guests did not stop them. On a bus, helpful locals suggested that they keep the shades down so they could not be seen from outside. Their reward was one of the most exotic locations of their journey, a city with rich biblical significance and architecture like nothing they had seen. "It was just exquisite," Ronel notes. "No one [else] builds buildings like that and we will never be back there." Staying in touch has been harder than they predicted. Internet access is unreliable and hookup prices run as high as $18 an hour (in French Polynesia, for instance). They signed up with Skymate, which sends automatic position reports to their e-mail list. Neil updates his Facebook page every week or so. The recession took huge chunks from their savings, but a true financial disaster struck on a windy Saturday evening in August 2009, two miles off the southwest coast of Turkey. (Unfortunately this is not a joke. Please contact the coast guard, we have about 20 minutes more daylight.)" Friends called the U.S. Coast Guard and help soon arrived. As quickly as their 58-foot mast snapped in two, Ronel and Neil saw their dreams of circling the globe sinking into the dark blue Mediterranean. The Turkish Coast Guard demanded that the Holtzhausen family abandon ship. Neil and Ronel refused (this would have meant "buying" the abandoned boat back from the Turks). The fishermen who towed them wanted $1,200. The Holtzhausens again refused (this would have been a vast overpayment). When the fishing crew saw Emile and Peter, they lowered their fee to less than $150. This was the oft-seen "kid discount," Ronel notes. At that point, rather than give up on their journey, Ronel and Neil devised a new plan. Ronel would fly back to the United States to take temporary work while Neil and the children stayed aboard Tiger at a marina in Marmaris, Turkey. Tiger got a used mast for $6,000, a fraction of the $50,000 that a new one might have cost, and repair work began. After six months earning money in Florida, far from anyone she knew, Ronel returned to her husband and sons last spring. By late fall, they had reached Morocco, where they visited Fes and Marrakesh. "I am usually able to identify many constellations, but when you sleep outside in the Sahara, it is impossible - or at least very difficult - because the stars are so bright. Everything looks like it is really bright and near and huge," Ronel says. At press time, the Holtzhausens were about to leave Las Palmas in the Canary Islands, with their next stop possibly Barbados or Grenada. Their trip back across the Atlantic is scheduled to start early this winter. They plan to reach New Orleans by the summer and conclude their journey. But if the end of the Holtzhausens&apos; circumnavigation is in sight, it&apos;s doubtful that their adventures have ended. They are looking at international volunteer or aid work that would fit their family, but regardless they see a future that holds new exploits. "The more we think about settling down again, the daily work routine and living a &apos;regular life,&apos; " Ronel says, "the more we realize how difficult it will be to adjust. We realize we have energy left for a different adventure." Amy Miller is a freelance writer who lives in South Berwick, Maine.